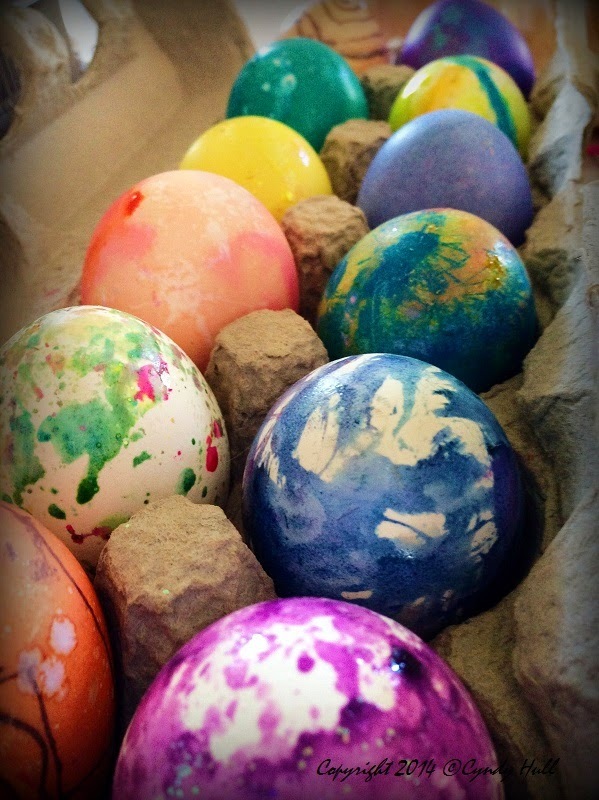 Upon arriving at our relative’s home for Easter dinner, I was greeted by this amazing example of continuing innovation in the field of Easter egg dye kits. The kit that spawned these splendid artworks came replete with flexible and collapsible clear plastic cups rimmed with colour-coded piping. So, if you lived off the grid, this is the epitome in egg-dyeing self-sufficiency: you could scoop water from your own creek into the little included cups, add the provided dye tablets, and then dip eggs donated by your very own cluckers - all without cracking open a crockery cupboard door. Well, provided you could convince your logical mule that egg technology justified a trip to town in the first place. Good thing there’s always an organic fallback option in beet juice, boiled onion skins and tea bags.